Looking like an old photograph of a Western U.S. landscape, this is a view from Curiosity’s acquired on August 18 (UTC) with the rover’s right Navcam. I colored the image using some of Curiosity’s previous color shots for reference, and adjusted the curves quite a bit from the original to bring out some contrast. The result resembles pinhole photography or lomography… Curiosity’s quite the hipster! 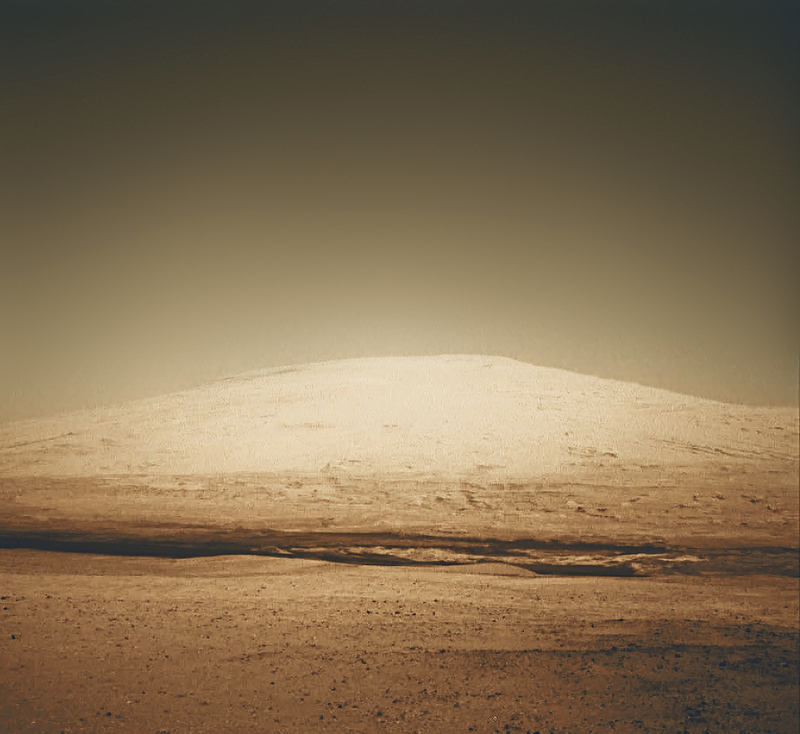 Named for Robert P. Sharp, the founder of modern planetary science, the mountain is the central peak of Gale Crater and rises 18,000 feet (5.5 km) from the floor of the crater. The exposed sedimentary layers along its flanks are the ultimate scientific goal for the MSL mission. Curiosity won’t start actually driving toward Mt. Sharp until the end of the year, so until then we’ll have to be patient and enjoy the view! See all the latest images from Curiosity here. Image: NASA/JPL-Caltech. Edited by Jason Major.